Preventative veterinary care, including regular physical examinations, can help detect many feline diseases early in their course. It is important to remember that even cats living totally indoors require regular examinations, vaccinations and deworming. Your cat can benefit greatly from regular wellness examinations. Whether your cat is young, a senior, or any age in between, wellness exams provide an excellent opportunity for us to conduct a thorough physical examination and develop a health profile for your cat. This information will help us identify medical problems and any other issues that can affect your pet's health and quality of life, now or in the future. A wellness examination includes an evaluation of all your cat's major organ systems. During this wellness visit we'll ask you a series of questions about your cat's behavior, appetite , exercise habits, and regular activities at home as well as address your questions and concerns.This is an excellent time for us to discuss any routine diagnostic testing that may benefit your cat or to recommend any vaccinations that may be due. 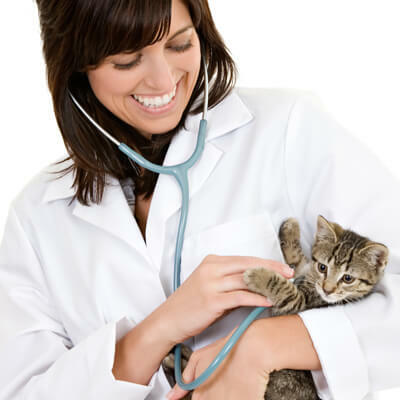 Your veterinarian is the best person to evaluate your cat's individual needs in order to discuss which vaccines are necessary and how often they should be given to provide the best protection for your cat.